The weather is starting to turn and with warmer temps comes different activities. Here in the Midwest spring is highly anticipated and people get anxious to get outside. I’ve put together a short list of things that you can do now to prepare for spring, so when it arrives, you can just enjoy it. 1. Clean cushions – Outdoor chair and bench cushions can get musty while stowed away over the winter. Its easier than you might think to freshen them up. Get an empty spray bottle and fill it almost to the top with hot water. Add a ¼ cup of vinegar and a tablespoon of dish soap to the water and shake it up. Spray, but don’t saturate the cushions and use a clean cloth to scrub off any surface mold or dirt. Now put them out in the sunshine to dry. After they are dry get another spray bottle full of white vinegar and lightly spray the cushions front and back and get them back out in the sun. The combination of the vinegar and the UV rays from the sun will kill the mildew and leave your cushions fresh and spring ready. 2. 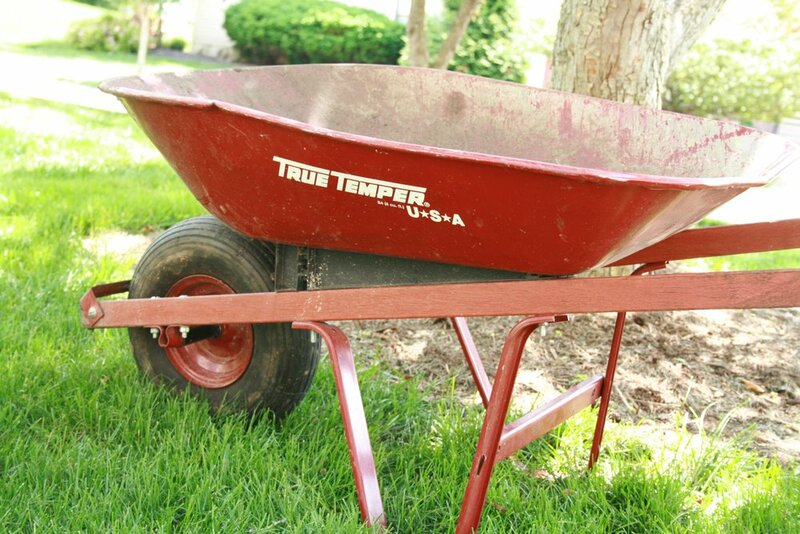 Rake out your garden beds and mulch – Over the winter your garden can go from manicured to messy. Clip back any old perennials, prune back bushes and shrubs and rake out all the fall leaves that accumulated over the last few months. After your bed is all neatened up, cover it with a fresh layer of mulch. Don’t over do it. Your plants need to breathe and grow up to find the sunlight. 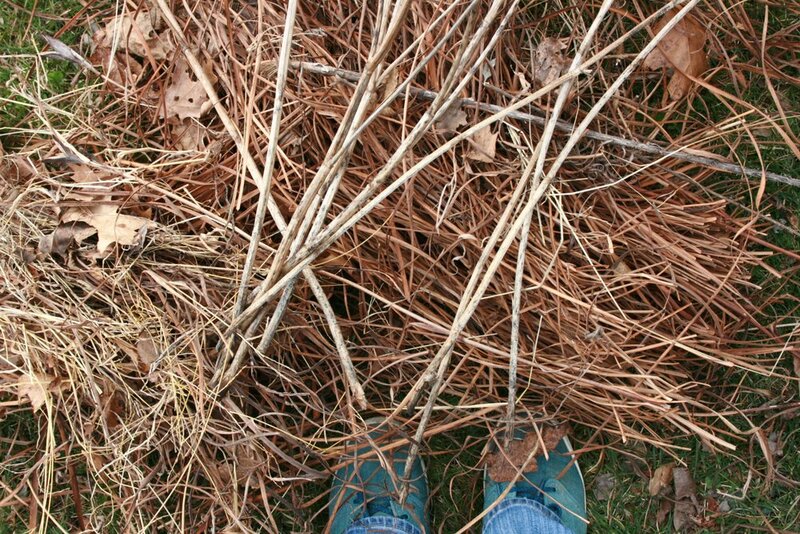 Too much mulch can snuff oxygen flow and make it harder for your new buds to break through. 3. Get pots ready for pansies – I can’t help myself. Pansies are frost hardy and as soon as they are available I want to have them adding color to my porch. 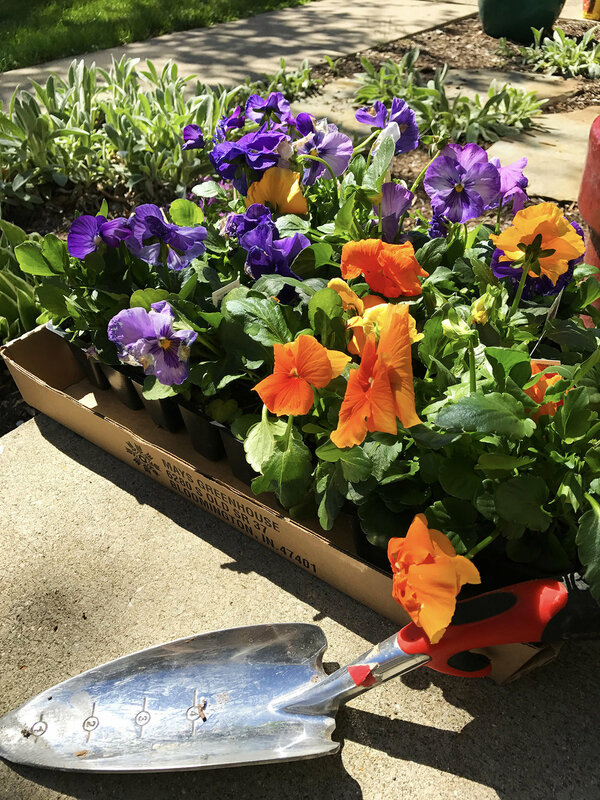 If you aren’t a pansy person, give those pots a good scrub and prepare them for plants when the weather warms. 4. Sweep out and organize your garage – Clutter gathers in garages over the cold months. Take a moment to get your tools, toys and supplies all organized so when those garage doors are open you can be proud of your clean space. Once everything is neatened up, give the garage a good sweep and get all the salt, sand and leaves out of there. 5. Porch and deck clean up – As soon as that sun starts warming your yard you’ll want to spend some time outside. Get your porch and deck swept off and do some annual maintenance. If you have a concrete porch, check for cracks. Use vinyl concrete patch to fill in any cracks and keep those weeds from growing up. Consider power washing or staining your deck and replacing any old or broken boards or balusters. 6. Tune up your tools – Get your outdoor tools ready for work. Sharpen your nippers and clippers and have your lawnmower tuned up. Make sure to pick up some fresh gas and you’ll be ready when those grass blades get a bit too long. 7. Get ready for activities – If you are someone who loves spending time outdoors now is an appropriate time to get ready for all your outdoor activities. Pump up your soccer and basketball, tune up your bike and get those hiking boots cleaned and conditioned. It’s always a bummer to have a beautiful day and find out you have work to do before you can play. You can also use this time to get your pool area cleaned up and organized so when it comes time to open your pool you’ll be ready to go. 8. Let the air in – One of my favorite days of the year is that first day you can open all the windows and let the fresh air in your home. Locate all your screens and give them a good wash. Usually a hose down will do the trick. After they dry, get them all in place so you are ready to open up those windows when the air temps get pleasant. 9. No more fires – Whether you have a gas log or a wood burning fireplace, you should give your fireplace some attention this time of year. If you have a gas log, turn off the gas to the unit so you aren’t wasting gas by having the pilot on all summer and you’re not generating any heat. If you have a wood burning fireplace, this is the time to clean it out. Sweep out all the ashes and scrub the surround with vinegar and hot water. If desired, you can also paint the firebox. Be sure to use a high heat paint. This will make your fireplace look fresh over the summer. For an added effect, find some pretty logs with lichen or moss growth or add some colorful candles to your fireplace. 10. Go a different direction – When the weather gets warmer it’s time to change the direction of your ceiling fans. Simply flip the switch on the main motor of your ceiling fan to move the blades counter clockwise allowing the fan to push the air straight down and give the room a cooling breeze. While you’re up on a ladder, don’t forget to wipe down those blades and remove all the dust build up. A simple way to clean your fan without getting dust all over the floor is to use an old pillow case. Start at the motor and wipe all the dust into the case as you go down the blade. Depending on your lifestyle and your home you’ll have a different list of items to prepare for spring, but these are some general tips to get things moving. I know I am always anxious to get started and get outside. Here’s hoping for many beautiful spring days in the upcoming weeks. This story first appeared in The Herald Times on March 10th, 2018.